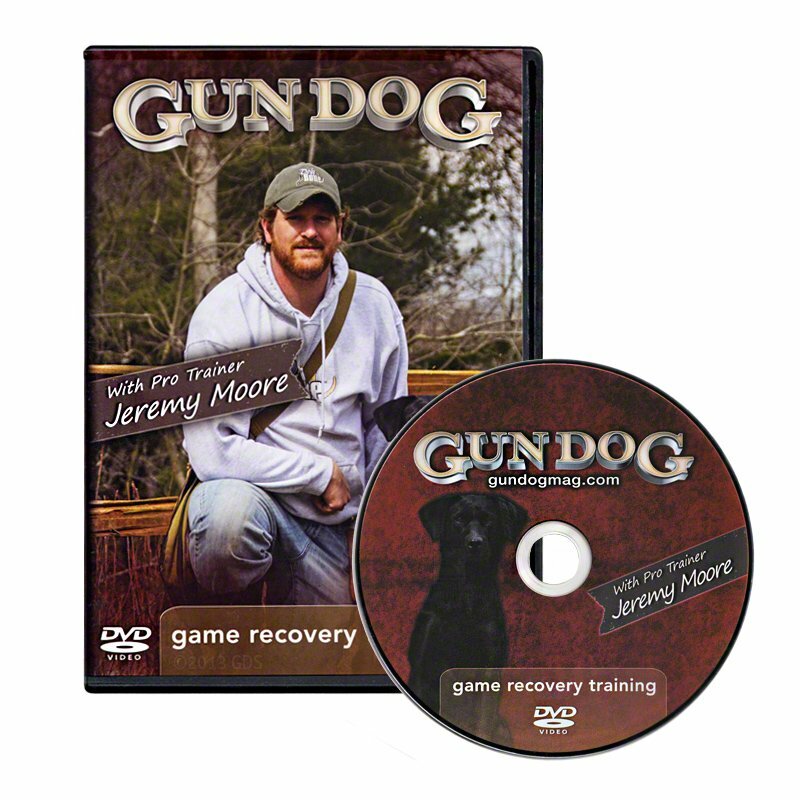 Game Recovery Training with Jeremy Moore DVD. $14.95. 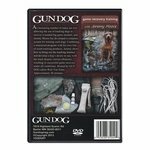 Train your dog to track and recover wounded big game animals. An increasing number of states are now allowing the use of tracking dogs to recover wounded big game animals, and Jeremy Moore has developed a complete system for training these dogs. 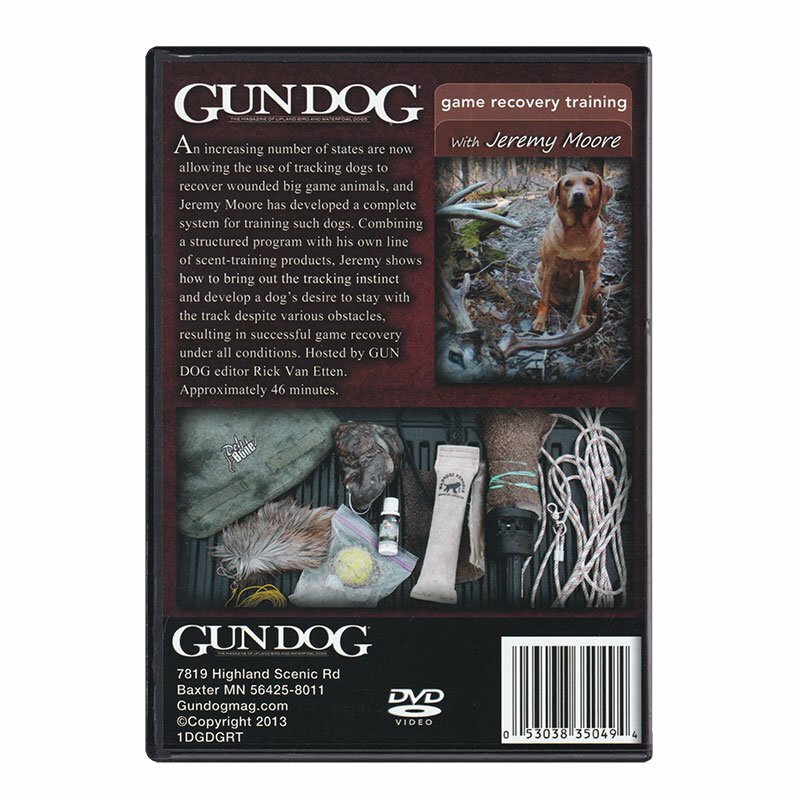 Combining a structured program with his own line of scent-training products, Jeremy shows how to bring out the tracking instinct and develop a dog's desire to stay with the track despite various obstacles, resulting in successful game recovery under all conditions. Hosted by Gun Dog editor Rick Van Etten.